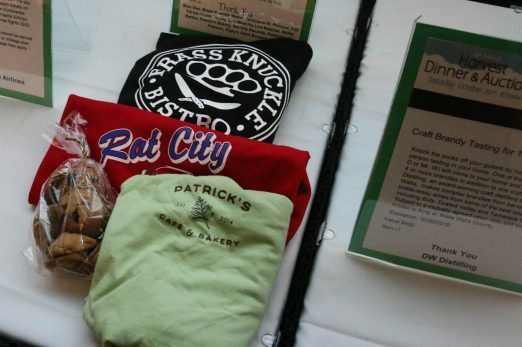 If you weren’t there, you can still support WCFB – which serves part of West Seattle too – just go here. 10:42 AM: Those are some of the ~250 people (and a few dogs!) 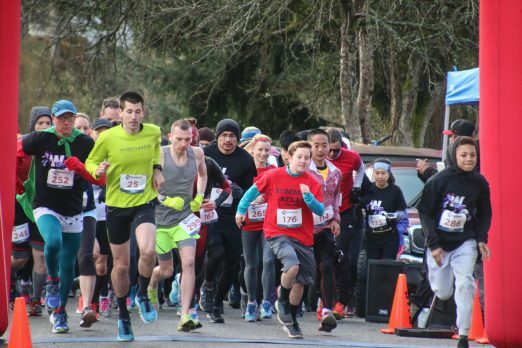 who hit the road for this morning’s White Center 5K. 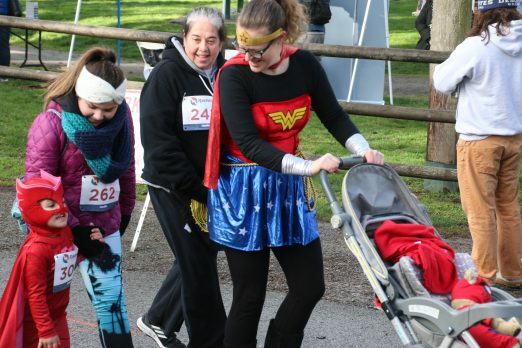 The run/walk, which started and finished at White Center Heights Park, again carried a “superhero” theme – and everyone who participated was a superhero by raising money for the White Center Community Development Association, White Center Food Bank, and YES Foundation of White Center. We’ll be adding photos shortly! We wanted to take a moment to let you know about some of the changes taking place at the White Center Food Bank and fill you in on a few of the exciting things we are working on to better serve our clients. You may have heard that the Board hired Angela Beard as our Executive Director in July 2017. 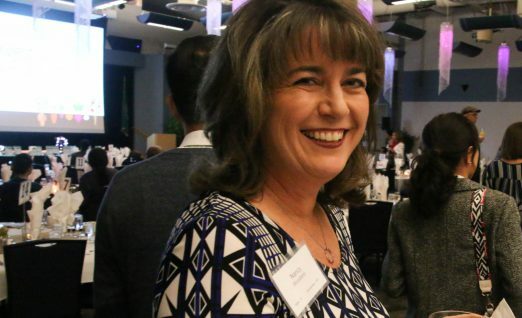 Angela has since decided to move on to another opportunity, so Carolynn Ferris has returned as the Interim Executive Director for the time being.  We have received a grant to broaden our community garden program; we are calling our food bank garden Grow2Give. Not only will we be expanding the garden to grow more fresh, culturally relevant and organic produce, but we also will be holding classes to teach those in our community the best growing methods for our climate, and create a gardener network to share information and resources.  Mara, our Community Garden Manager, will be working with Cascade Middle School in the coming year to help them continue to establish their own garden and engage the students in nutrition, gardening, and healthy soils education.  An intern from the University of Washington will be joining us early in the year with the task of modifying the produce distribution area to enhance the “shopping” experience of our clients and encourage healthy choices. We look forward to your continuing support and input to further our mission. You can help fight holiday hunger by donating turkeys to the White Center Food Bank – and someone will be there almost every day before Thanksgiving to accept whatever you can give. WCFB is on the southwest corner of 8th SW and SW 108th, and promises someone will be there 10 am-4 pm Saturday and 9 am-5 pm each day Monday-Wednesday. 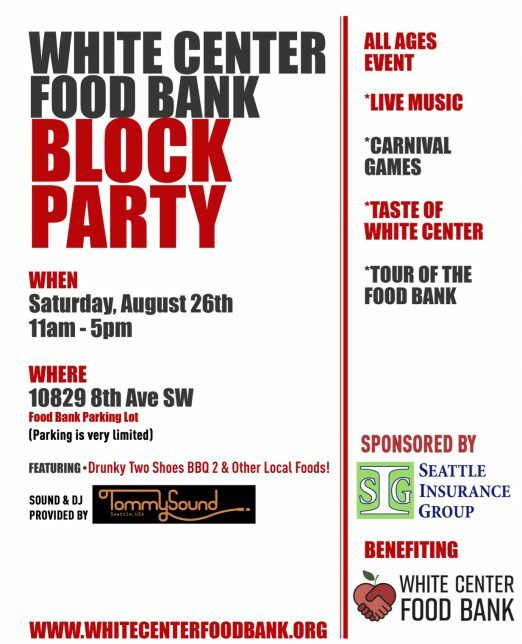 SATURDAY: White Center Food Bank Block Party! August 25th, 2017 Tracy Posted in White Center Food Bank, White Center news Comments Off on SATURDAY: White Center Food Bank Block Party! On behalf of our community, our clients, and the Board, staff and volunteers at the White Center Food Bank, we would like to cordially and excitedly welcome our new leader, Dr. Angela Beard. After an exhaustive search for a candidate to lead our amazing Food Bank into the future, we are excited to welcome Dr. Beard into our community. Dr. Angela C. Beard has been a nonprofit practitioner, board member and scholar for nearly 30 years. Dr. Beard began her fundraising career as the grants manager for Pacific Northwest Ballet and has held leadership positions in fund development at ArtsFund, the Museum of History and Industry, the Seattle Repertory Theatre and Seattle Youth Symphony Orchestras. Dr. Beard served as Executive Director at Cancer Lifeline, a nonprofit dedicated to improving the quality of life for cancer patients and survivors. Before joining the White Center Food Bank, she was an instructor in the Masters of Nonprofit Leadership program at Seattle University. Dr. Beard has provided consultant services to numerous local and national organizations including Delridge Neighborhood Development Association and a year-long project national project studying fundraising practices in social justice organizations with the Research Center for Leadership in Action at New York University. In 2011 she received her doctorate in public administration from the Robert F. Wagner School at New York University, specializing in nonprofit management, financial management, applied statistics and survey/sampling techniques. Dr. Beard has also served on the boards of several nongovernmental organizations in both the arts and human service sectors. In her spare time, she loves to read, travel, craft, rollerblade and chase after her four rescued critters Tinsel, Poppy, Raven, and Momo. She will officially be joining us in July, but feel free to extend a warm welcome to our new leader and Executive Director, Dr. Angela Beard! Longtime WCFB leader Rick Jump announced his retirement back in January. As many people may know, The White Center Food Bank has been going through changes over the past few months. Over this time, we have not been very transparent about many of the changes happening and we would like to take this time to be honest and open. We are hoping that this is the start to a more transparent White Center Food Bank, and more direct community engagement with the White Center, West Seattle, Highline and Burien communities. First, we want to address the recent retirement of our longtime leader, Richard Jump. He retired on his own accord and did so under more short notice than he or the organization would have liked. However, his departure was not a surprise as he had already started conversations about setting a retirement date. Beyond the personal reasons outlined in our previous press release, Rick felt comfortable leaving when and how he did because The White Center Food Bank team was growing and he was confident in the abilities of the remaining staff to be able to ‘weather the storm’ and grow from his legacy. We, now and forever, wish him the best and he will always be an integral part of who we are as an organization. At this same time, a portion of our Board of Directors retired from their positions. Each retiring member had personal reasons for leaving the organization, and their departure was done with the best intentions in mind for the future of the White Center Food Bank. This change also allowed the board to look strategically towards the future, engaging in intentional board development that will prepare us for a capital campaign to grow our services and physical space at our current location in the near future. 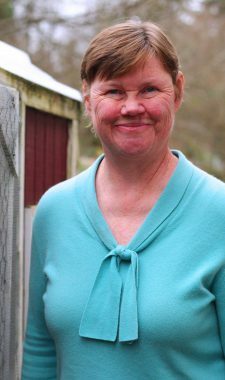 Finally, upon Audrey Zemke’s recent retirement, The White Center Food Bank had to re-focus on our mission of continuing to keep White Center fed. Audrey was integral in the building and developing of our programs at The White Center Food Bank, and we would not be the organization we are today without the kindness and dignity that she provided to those in crisis on a daily basis. She is an inspiration to our team and will continue to shape the organization, long after her retirement. Our commitment to keep White Center fed, coupled with the retiring of our longstanding leaders, has led the remaining Board of Directors and Staff to engage with Loveall Price & Associates – a consulting firm who is now providing staff support and development, organizational restructuring, and an acting Interim Executive Director – Carolynn Ferris – who will be guiding us through this transition. Carolynn and the LPA team will then assist us through an Executive Director search to find our new organizational leader within the year. We have also recently hired a new Volunteer Coordinator, Carmen Smith, who will be engaging in volunteer management, recruitment and engagement within the community! The staff and Board at The White Center Food Bank would like to let our community know that we are extremely hopeful and excited for the future. We were lucky to have had such wonderful community of support and leadership with Rick and Audrey, and we are looking forward to being able to build upon their legacy. While there will be more changes in the future, we hope that you will continue to support us in our mission to minimize hunger in the neighborhood and to provide the best emergency food services possible. We will always fight to #KeepWhiteCenterFed – come join us! The Board, staff, volunteers and clients of the White Center Food Bank. After over 9 years of rewarding work with the White Center Food Bank, Operations Manager Audrey Zemke will be leaving. Her last day is February 17. 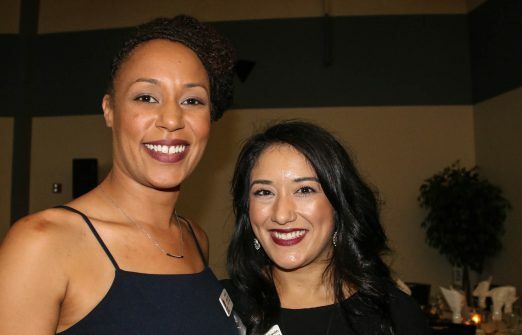 She said, “It has been great to work in an organization that fits a lot of my strengths and where I can take pride in the organization’s mission and programs.” Over the past nine years, the organization’s support and programming have both grown dramatically. It isn’t uncommon for all 5 of the food bank’s vans to be out some days and that means a lot is happening. Audrey has enjoyed the varied tasks and people she has worked with. She looks forward to having more time in the near future to do photography and spending time with friends and family. She will miss the people at the food bank but will be back in White Center for visits and is excited to see what the future brings to The White Center Food Bank. I have lived in White Center for 35 years; raised my children here, forged lifelong friendships, built partnerships, and helped to grow the White Center Food Bank for the past twelve years. It has been both my professional and personal passion to help support the most vulnerable in our community. It is a unique place – one built on community, diversity, and resiliency despite the many challenges we have faced. I am proud to call White Center my home. This is why my decision to retire as the Executive Director of the White Center Food Bank is made with a heavy heart. I arrived at this decision after both I and my wife, Judy, have struggled with health issues in recent months. As much as I love this community, after 12 years of dedicating my life to helping others, it is time that Judy and I take care of ourselves. I leave the White Center Food Bank knowing that it is in good, capable, and caring hands and am excited to see how it continues to grow to meet the needs of White Center now and into the future. Thank YOU all for being such a wonderful community and for your support of the White Center Food Bank over the past 12 years. They have been some of my most formative and inspiring years of my life. 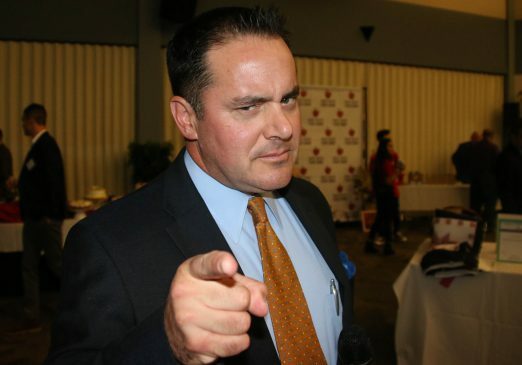 We are awaiting replies on a few followup questions, including when Jump plans to leave and what the process will be for choosing his successor. His list of achievements is long, including winning the West Seattle Chamber of Commerce “Westsider of the Year” award in 2011 (that’s when we took the photo you see above). WCFB is at 10829 8th SW. This year the wholesale price of turkey has gone up to $1.29- $1.49, so it’s harder for us to provide our clients with a whole Thanksgiving meal. However, many grocery stores are offering 1-2 turkeys for much less expensive prices (for example, Target has Market Pantry turkeys for $.69/pound, or Butterball turkeys for $.99/pound, each limit two), and so we’re asking our community to contribute! White Center Food Bank needs your help on New Year’s Eve! December 26th, 2014 Tracy Posted in How to Help, White Center Food Bank, White Center news Comments Off on White Center Food Bank needs your help on New Year’s Eve! Can you answer the call? Volunteers able to lift between 20 and 50 pounds are needed at 9:00 am Wednesday, December 31 to help the White Center Food Bank do inventory. The inventory will take place at 10829 8th Ave SW. Volunteers should dress for a warehouse and wear closed-toe shoes. Available? Contact Audrey Zemke at audrey@whitecenterfoodbank.org or 206-762-2848. White Center Food Bank: Can you bring in a turkey today? November 22nd, 2014 Tracy Posted in White Center Food Bank, White Center news Comments Off on White Center Food Bank: Can you bring in a turkey today? Can you spare a turkey or two? Maybe some stuffing too? The White Center Food Bank needs that (and more) and is open special hours today for pre-holiday donations, 11 am-2 pm, 10829 8th SW. Our partner site West Seattle Blog has more on how to help WCFB (which has a regional client base beyond WC). Do you want to make a difference in the lives of hungry families in the community? White Center Food Bank needs volunteers every weekday and food for the holidays. You can be on the front lines of hunger by coming to the food bank to pass out food. In an average distribution, we see 40 to 70 families who receive meat, food staples, milk, egg and produce. Including set up and clean up this shift takes about 4 hours. We need help Mondays, Wednesdays and Thursdays starting at 9:00 am. Like to lift boxes? You can help in the warehouse on Tuesdays when we load and unload trucks and organize the warehouse. The work starts around 10:00 am and can last until 2:00 pm or longer depending on the amount of donations. If you have a clean driving record and can lift 40 pounds, we would love to have you drive the food bank van to local businesses to pick up donations. 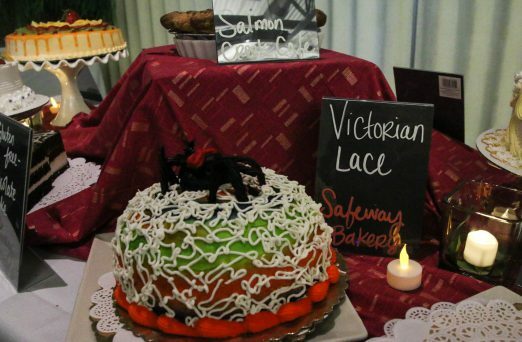 We regularly pick up from Safeway, QFC, Starbucks, Super Saver, Essential Bakery and other generous businesses. Thursday morning is the shift you can help the most but other days especially around the holidays are busy too. If you’re not sure if this is right for you, I can arrange a ride along as helper so you can get an idea of the experience. The holidays are coming up and the White Center Food Bank would like to provide the fixings for holiday meals for about 600 families each of the next two months. You can help by providing turkeys, boxed stuffing, canned pumpkin, evaporated milk, whole olives, canned yams or sweet potatoes, and pudding or jello mixes or by donating online at www.whitecenterfoodbank.org and designating your donation for holiday food. Your help is important to be able to provide clients with good customer service and holiday food. Email or call me to get involved. 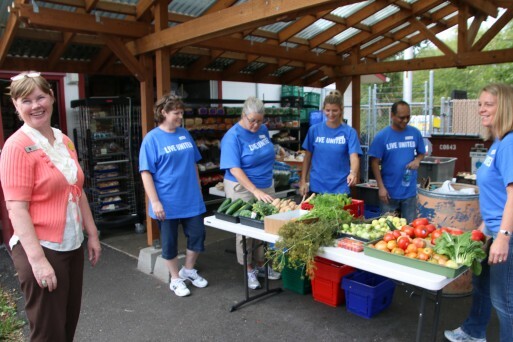 Extra help at the White Center Food Bank today – volunteers from Bentall Kennedy are there on behalf of the United Way of King County‘s “Day of Caring.” Countywide, more than 11,000 volunteers are working on projects at more than 500 sites. P.S. 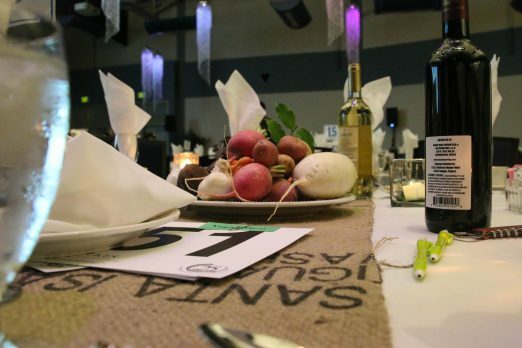 Got your ticket for the WCFB’s 10th annual Harvest Dinner and Auction yet? It’s just four weeks away – on October 18th. Gardening time! Anyone want a plot in White Center Heights Park? March 30th, 2014 Tracy Posted in Gardening, Parks, White Center Food Bank, White Center news Comments Off on Gardening time! Anyone want a plot in White Center Heights Park? Just wanting to get the word out again for this year, that community garden beds are available in White Center Heights Park. Anyone interested should contact gardens@whitecenterfoodbank.org to get more information. Signup ends April 9th. P.S. Check out the White Center Giving Garden Facebook page! 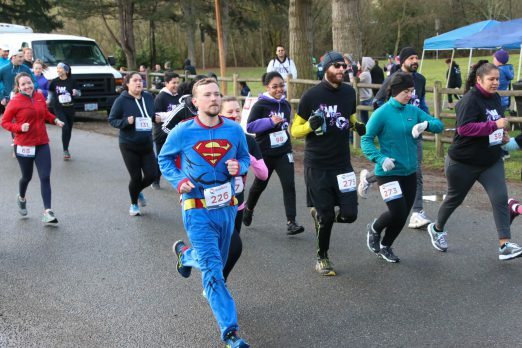 Update: More info on this year’s White Center 5K – be a superhero while helping 3 local nonprofits! January 22nd, 2014 Tracy Posted in White Center Community Development Association, White Center Food Bank, White Center news Comments Off on Update: More info on this year’s White Center 5K – be a superhero while helping 3 local nonprofits! 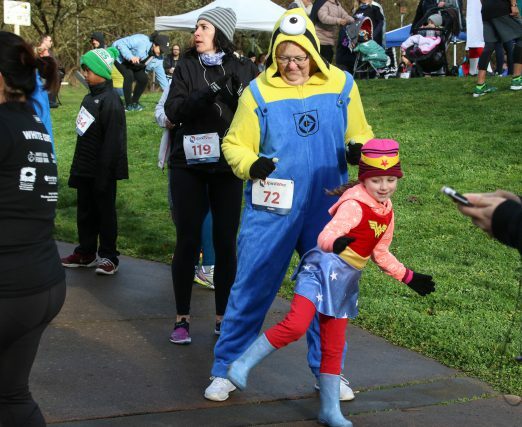 We’ve already mentioned that this year’s White Center 5K is on the way – but tonight, the official announcement has arrived, including word that you’re invited to dress up like a superhero! 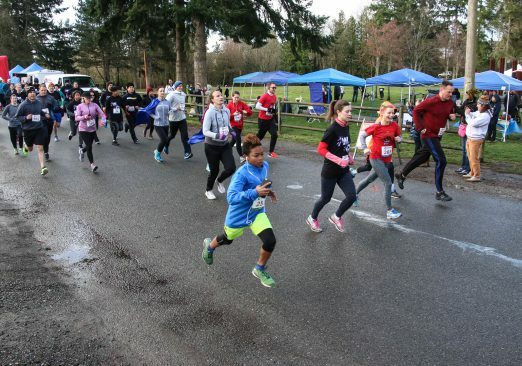 The White Center Community Development Association (CDA) is partnering with the YES Foundation of White Center and the White Center Food Bank to host the second annual White Center 5K Walk & Run. This community event will take place on March 22, 2014 from 9:00am to 11:00am at White Center Heights Park. 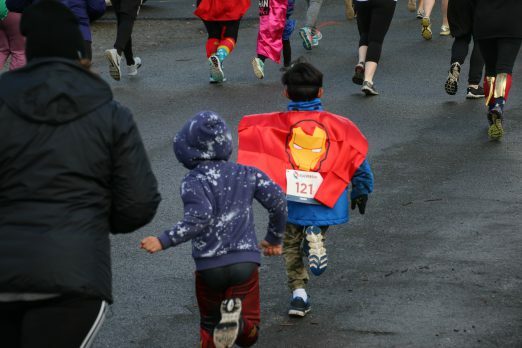 The theme of this year’s 5K is a Superhero Run, all participants are encouraged to dress up as their favorite superheroes. The 5K has an official start time of 9:00 am, with registration beginning at 8:00 am. Following the completion of the race there will be an award ceremony to recognize the fastest runners. The cost of participation is $25 for people aged 11 through 18, $30 for people between the ages of 11 and 54, $25 for those aged 55 and up, and free for children 10 years of age and younger. All proceeds from the event will benefit the White Center CDA, the YES Foundation of White Center, and the White Center Food Bank. In addition to a free White Center 5K T-shirt, this event will provide attendees with free DubSea drip Coffee and a light breakfast. Also on site there will be music and informational booths from local organizations including Hope Heart Institute, Child Care Resources, United Health Care, and the three partnering organizations. Following the race, 5K attendees can receive discounts at participating local businesses if they wear their White Center 5K T-shirt. 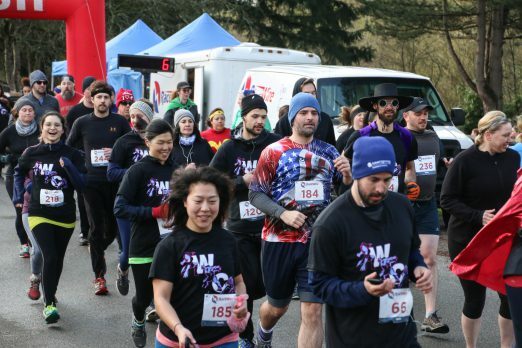 Those interested in attending can sign up by visiting the White Center 5K registration page at whitecenter5k.brownpapertickets.com or visit facebook.com/WhiteCenter5kWalkRun for more information. The mission of the White Center Community Development Association is to promote a vibrant neighborhood and high quality of life for White Center residents and stakeholders through the development of authentic leadership opportunities and community-led, neighborhood initiatives. This is accomplished through three lines of business: neighborhood revitalization, family development, and community building. The YES Foundation of White Center exists to address the social, economic, educational, physical, and spiritual needs of youth in the White Center area. By developing programs and partnering with other organizations, they provide kids with positive role models and powerful life experiences to encourage their hope and vision for the future. The White Center Food Bank (WCFB) began in the mid-1970’s as an emergency response to assist struggling families and individuals in the greater White Center and Highline areas during a major economic downturn. The Mission of the White Center Food Bank is to minimize hunger, while nourishing community, nurturing self-reliance and embracing our rich cultural diversity. Help the White Center Food Bank today! September 28th, 2013 Tracy Posted in How to Help, White Center Food Bank, White Center news Comments Off on Help the White Center Food Bank today! As part of the annual regional Mayors’ Day of Concern for the Hungry, White Center Food Bank ‘s Audrey Zemke tells us that Key Club members from the Evergreen Campus will collect food, money, and gift-card donations 10 am-2 pm today at Roxbury Safeway and North Burien Albertson’s on SW 128th. Drop by and give! We are in desperate need of a driver on Thursdays from 9 am-noonish for our grocery recovery program. Must have a clean driving record. We are still also very short on regular volunteers during the week.